Gorkhaland Territorial Administration Sabha members today voted and unanimously passed a resolution to remove Bhupendra Pradhan (Pradeep Pradhan) as the GTA chairman. Pradhan is also the GTA Sabhasad of Pandam-Phoobshering constituency and hails from Kurseong sub-division. He had kept the suspense of his decision to join the Trinamool till he attended a TMC programme on August 24 in Kurseong and received the party flag from state minister Arup Biswas. Gurung had visited Pradhan at his house, apparently to persuade him to not leave the party after word of Pradhan's possible exit starting doing the rounds. And even as Pradhan spoke at the TMC programme in Kurseong on August 24, GJM leaders had convened an emergency meeting in Darjeeling to remove him from the post of GTA Sabha chairman. Thirty-five Sabhasads submitted a written request to GTA Sabha deputy chairman Lopsang Lama to call a special meeting to take the decision to remove Pradhan as per the provisions of the GTA Act. A special meeting was convened today. “On August 24, 35 Sabhasads placed before me a request to convene a special meeting to remove Pradeep Pradhan from the post of GTA Sabha chairman as he had defected to another party. Accordingly, I issued notices to all the Sabhasads including Pradhan to attend the meeting today,” said the GTA deputy chairman. Today, 40 Sabhasads attended the special meeting at the Gorkha Ranga Manch Bhawan in Darjeeling and cast their vote seeking the removal of Pradhan from the chairman's poat. “As per Section 37 and sub-section 3C of the GTA Act, one-third majority is required for such a move and this was achieved with a unanimous decision to remove Pradhan,” Lama said. Five Sabhasads could not attend today's meeting due to various reasons. Neither Pradhan nor the nominated TMC Sabhasads were present even though notices had been sent to them to attend the emergency session. The GTA Sabha has 45 elected and five nominated members. All the 45 elected members are from the GJM and two others are nominated, while three more nominated Sabhasads are from the TMC. When contacted, Pradhan said he had no issue with being removed as the GTA chairman but said he would not resign as a Sabhasad. “Let them chose a new chairman. I welcome the new incumbent. However, I will not resign as a Sabhasad because I have been directed by the chief minister to stay put. 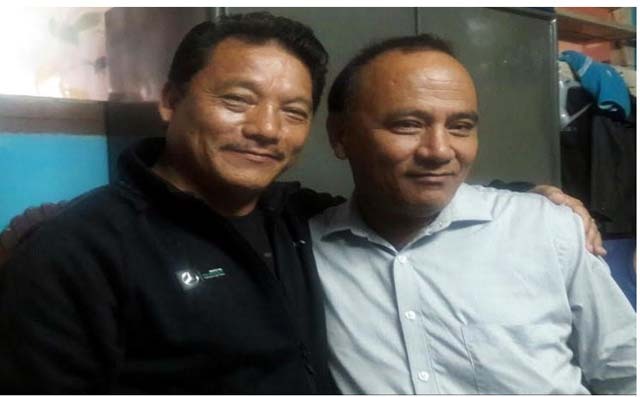 As far as development of my constituency is concerned, I will do so through the district administration if they (GJM) do not cooperate to target me politically,” he said.